The name is complicated, it takes some practice to get it right, but the difficulty to call it hasn’t intervened on the beauty of this castle, or on its fame. The Neuschwanstein Castle inspired Walt Disney when creating Cinderella’s and Sleeping Beauty’s castles, and it has been said before that: “if you have the chance to visit only one castle in your life, this is the one”! Neu-schwan-stein means: new swan stone, exactly because of the swans, famous in the region. 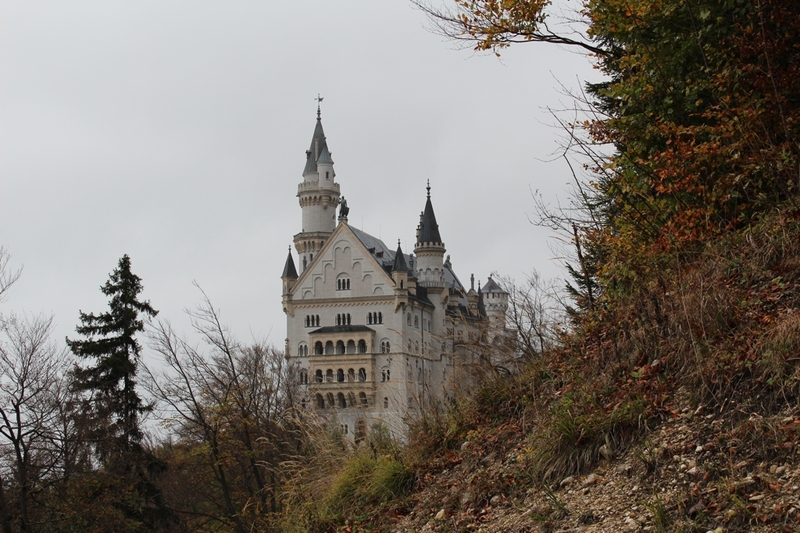 It was only after visiting the castle that I learned what is really special about the Neuschwanstein, and what is really behind its story. In order to tell you what it is, you need to meet the story of the man behind it all: Ludwig II, the former King of Bavaria. If you ever mention his name to a German, they will refer to him as the crazy king, but I don’t see it this way. Ludwig II was born in Munich, at the Nymphenburg Castle in 1845, and had a lonely childhood away from his parents – Maximilian II and Princess Marie of Prussia. He reined Bavaria for 22 years, and during this time, he avoided being in public and surrounded by people as much as he could, he never got married, even though he was engaged for only a few months. Ludwig II became King when he was 18 years old, had one brother – Otto – and was fascinated by the famous opera composer Richard Wagner, author of the story “Tristan und Isolde”. Wagner was brought to Bavaria by the king, where he composed many famous pieces. Ludwig II built a life of fantasy, a private world in which he felt like a real king, while he slept during the day and was awaken during the night. In the summer of 1868 Ludwig II ordered the construction of his dream castle, where he could be isolated from the World and be the king of its own kingdom, the Romanesque Revival styled, Neuschwanstein Castle. The king himself designed some parts of the castle. 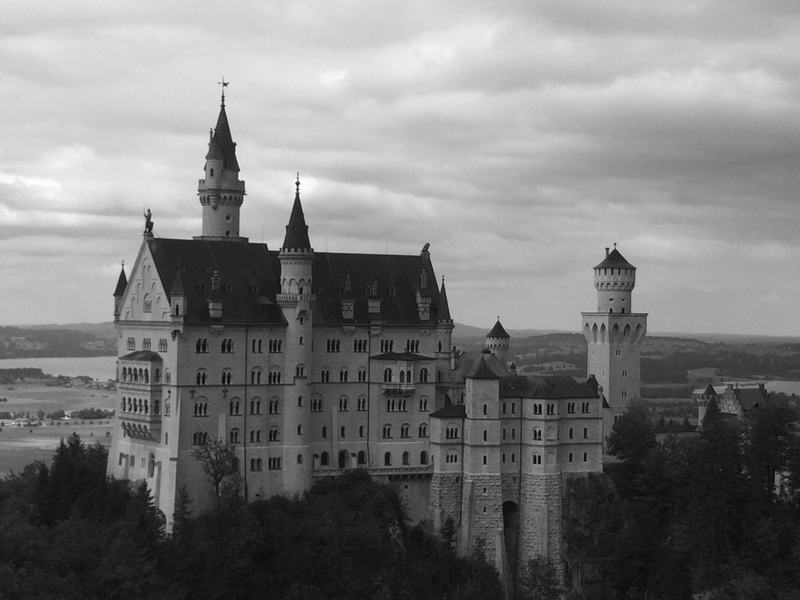 However, the construction of the Neuschwanstein was never completed, and the king only stayed there for 186 days, until he was declared by his brother and a psychiatrist to be crazy and incapable of being the king, and sent to isolation near the Lake Starnberg, where he died mysteriously on June 1886. Some people say he went for a walk with his psychiatrist and later both were found drowned in shallow waters on the lake. The castle was opened for the public 7 weeks after Ludwig’s death, and nowadays receives around 1.4 million visitors each year, 6.000 per day during summer time. It’s a day tour, which also includes a visit to the Linderhof Castle and a short stop at the city of Oberammergau. I have done this option before and I thought that everything was a bit fast, and it didn’t include the Hohenschwangau Castle, totally worth the visit and just in front of the Neuschwanstein. The good thing about it is that you can buy the tickets directly with them (in addition to the 51 Euros). By car: if you have the option to rent a car or pay a chauffeur to take you there, I advise you to do so. You can stay as long as you need, no hush, and it is cheaper than with the bus! Parking: varies between 5 – 8 euros a day, or you can find free parking a bit further. I pretty much advise you to book your ticket in advance on Internet, buying there – especially during summer – means wasting time on the line. 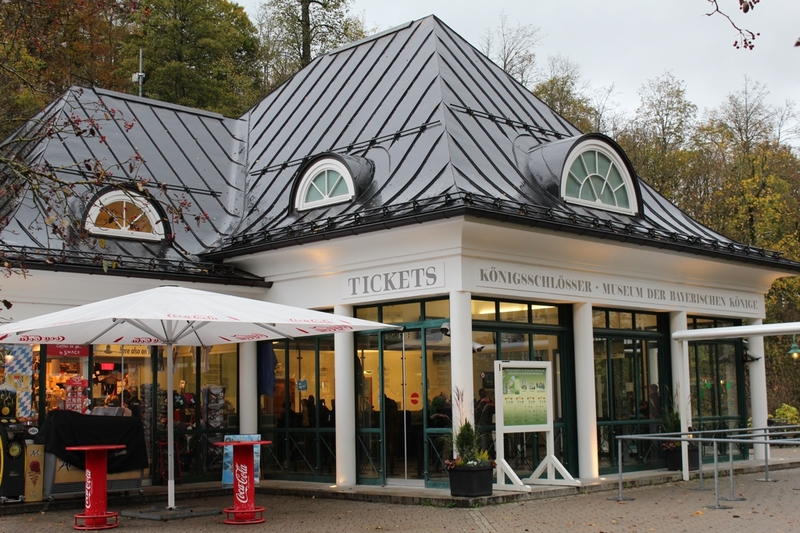 Once you arrive in Hohenschwangau, you have to go to the ticket center and pick up your tickets before you head to the castle. Check out the opening times, prices and make your online reservation here. *Your ticket will show you the time and the number of your tour, stick to that and don’t be late! Walking: it is beautiful and for free. By bus: it costs only 1 – 1,40 Euro one way, and it leaves you right beside the Marienbrücke – Marie’s Bridge. And you can easily walk your way down. With a carriage: I personally don’t like this option! Its very pretty to go up the castle on a carriage, it feels like a real fairy-tale, but I do feel sorry for the horses having to climb their way up several times a day. In addition to that, it takes longer and you normally need to wait until a carriage is available for you. Should you choose this option don’t forget to check your watch and see if you are not going to miss your tour. Before entering the castle, pay a visit to the Marienbrücke, where the most famous pictures of the castle are taken (the bridge is very busy during summer). The visit inside the castle doesn’t take long, it lasts between 15 to 20 minutes, it can be guided in English or German, or you can choose to have an audio guide (Spanish, Italian, Portuguese and Russian). No photos or videos are allowed inside the castle; I respected that, and this explains why I have none. Previous to the Neuschwanstein, Ludwig II ordered the construction of two other castles, Linderhof – the only one completed before his death – and Herrenchiemsee. 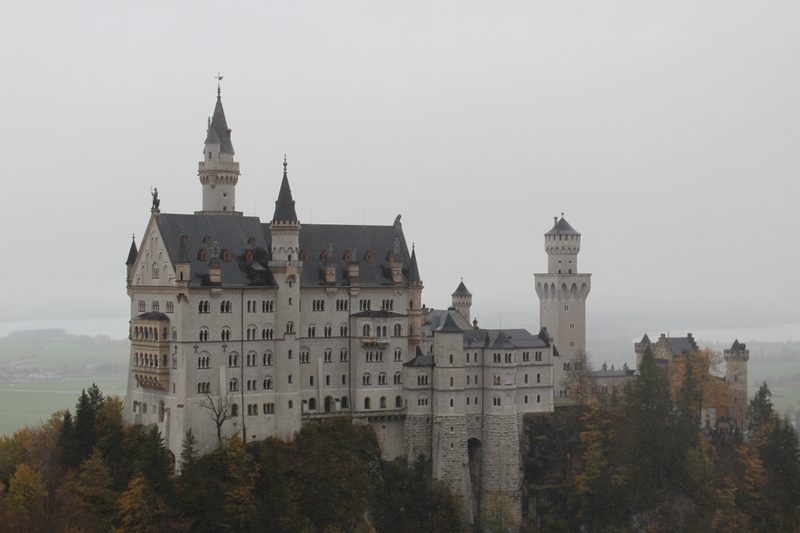 It is possible to visit both castles, as well as, the Hohenschwangau Castle, which is just across Neuschwanstein, where Ludwig spent most of his childhood, where I highly recommend a visit. If you are interested on visiting the Hohenschwangau Castle too, you can buy a combined ticket, which includes a visit for both castles. Souvenirs at the castles’ official stores are a bit more expensive than others just outside. You can have lunch at the Schlossrestaurant Neuschwanstein, just outside the castle, the food is great and it’s very typical of Bavaria. Or have some snacks at the Müller Hotel’s Bistro on the main street of the city. There are hotels in Hohenschwangau in case you decide to stay longer and explore the area. More information about the Neuschwanstein you can find here. 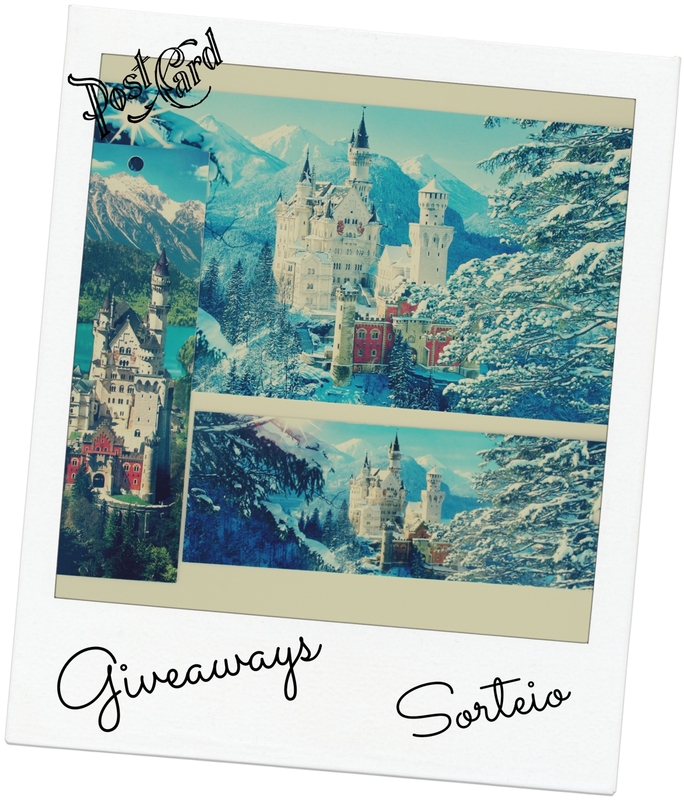 The winner will be announced on Facebook on Sunday, November 16th, 2014 at 12pm at Germany’s local time. The winners will be picked randomly, using the website random.org. Good luck! **If the winner doesn’t contact me within 2 days after the result, another one will be chosen. Thank you dear! I hope you are also having a great week! one place i always meant to visit but never did. thanks for sharing! There is still time!! 😀 I hope you make it there, its is totally worth the visit, so far I havent seen any other castle like this one! I went there in August and recently in October… the first time was raining a little, last time was snowing already ahahah. It is very close to the mountains, so its a bit colder than the rest of the region, but veeery pretty to see the alps from there 😀 its a breathtaking place! Snowing? The castle must look more magical then blanketed in bits of snow. I hope there wasn’t cold wind. If there was, I suppose you would have hide behind the big castle walls! Its amazing isnt it?! I find the spot it was constructed a very pretty place, up in the mountain… such a big castle for such a lonely king! Happy that you liked the giveaway idea!! Wow, just wow 🙂 Next summer! I visited Ludwig’s castle in Germany. It was beautifully preseved in the original state as when Ludwig lived there. I loved every minute of the tour although I missed the English one and had to take it in German. Is this the same Ludwig? I couldnt agree more with you Miriam 😀 in my opinion the guy was a genius, but back then, probably too much to be accepted by the society… he didnt feel like he fit! Poor him! I visited this castle many times when I was a guide in Europe. What a fascinating place and I was happy to return through your blog. Thanks. Hi Tim!! Woww, everytime you surprise me… I didnt know you were a guide in Europe, how amazing…. Im sure you had the opportunity to visit amazing places! So nice! It’s absolutely on my bucket list!! No!! How is it called? I have to watch it!!! Is the inside actually pretty/interesting? Sometimes these places house really fantastic exhibits and interiors – and other times it’s just bare walls. When is the best time to visit? 6000 people per day seems like MADNESS! I just visited a castle in Croatia and my friend and I were one of only 3 couples inside for an hour and a half! I’ve been wanting to visit this castle for a long time. Looks like it’s well worth a trip! Have wanted to see this place for ages. Been to Germany a few times, but never here. Nice piece. Very useful post! planning to take my boys there next year…..lovely photos!!! A gorgeous castle! Your photos are fantastic, especially the view through the arch. Thank you 😀 Im happy you like the photos!! This castle is indeed amazing! This place was one of the first things on my “bucket list”. Very much enjoyed looking at your photos. Hi Iris!! Im happy you like my pictures 😀 This place is really amazing, it was never on my bucketlist, but it was no doubt a place I had to visit as I live in Munich, and I must say it really impressed me!! What a stunning castle, I can see why it inspired Cinderella and Sleeping Beauty! Bavaria looks like a stunning place and one place I’m going to have to visit! And you are right, Bavaria is an amazing region… soooo much to see!! If you ever come let me know and I will help you with anything you need and we can finally meet!! Lol… when my parents visited this castle, it was when Gangnam Style was a huge hit, and some German students chased down my father (I guess they thought he looked like Psy?) and made him do the Gangnam Style dance with them!! 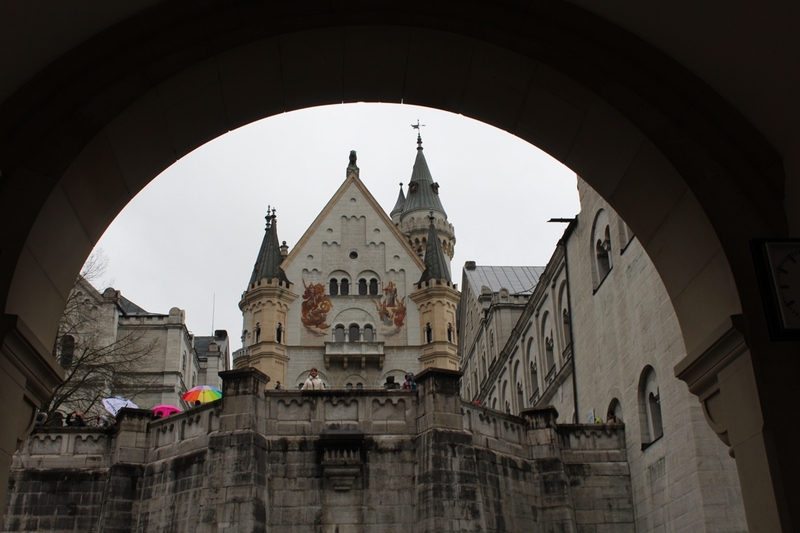 Neuschwanstein is an absolute must if you are traveling in the area. Even if you don’t get a chance to take of tour of the inside of the castle, you definitely need to see the outside. We always have driven there, and there are many roads in the area to get great photos of the castle from a distance, then closer and closer without lots of tourists in your photos. I visited Neuschwanstein castle more than 20years ago while on a road trip to Austria and Bavaria. I don’t remember much so I’ll have to visit again at some point!! I’ve also visited Linderhof! Yes, I’ve heard the stories too that Ludwig was crazy…I believe he was eccentric to say at least…but then if he wasn’t, Neuschwanstein wouldn’t exist! Btw love your header, where did you get it from? 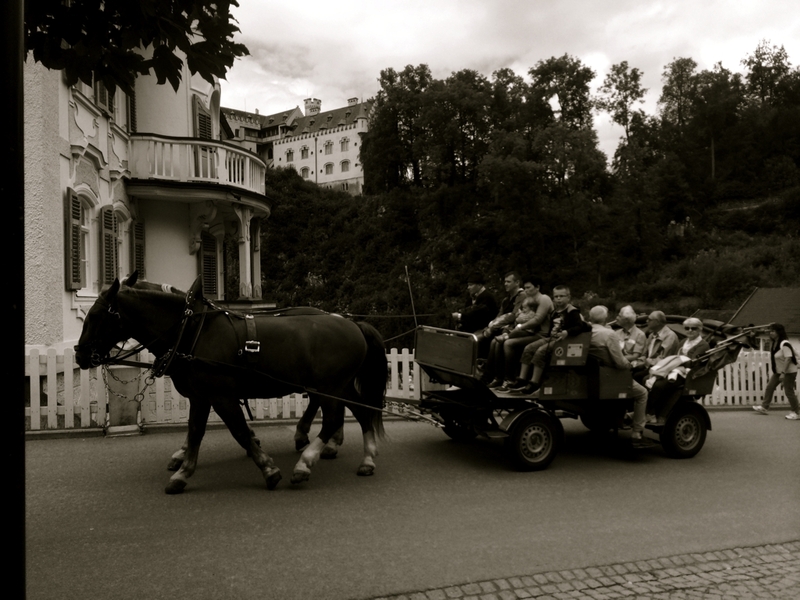 Ohhh nice that you have also visited Linderhof… its much more smaller and was inspired on the Versailles. Yes you do!! It’s very small, but very beautiful, especially during summer! 😀 I hope it helps! I loved it during fall! !